Remove Powered by Blogger Widget from your Blog! You may wanna remove the powered by blogger text from your blog that shows at the end of the page. But this task is not very easy if you don't know the proper way. If you try to do it just by editing the template, for sure you will not be able to do so! Because this text is set up by a widget. Without proper guide you can't find this code! So, in this post you're getting a guide to remove this text. Follow my instruction. Then hit on the template button. Click on the Edit HTML option and proceed to the next step. Press Ctrl + F to find this line. And select and delete the following lines as shown in the image below. Hit on the delete widgets button as indicated in the image and save your template. Now view your blog to see the change! Awesome Online Visitor Counter for Your Site! Wanna place a gadget in your site like this? It's very simple and easy. But you must complete a few steps to make it. This counter is made by 99COUNTERS. First, visit http://www.99counters.com/ and sign up for free. If you're asked to confirm the account then confirm it. Then click on Create a Counter. Choose Theme, Counter Name and Time Zone. Then you'll get Counter Code in the object embed code. Copy the code (Ctrl+C) and place it in your site. I'm showing the system for blogger blog. Now sign in to your blogger account. Hidden Option Can't be Unchecked? Fix it Now! If you look at the above picture, you'll notice the property of a hidden file. And carefully look at the attributes. The option Hidden is checked. And you will not be able to uncheck this. Because this option is disabled. In this situation you need to view the files by unchecking the protected operating system files from folder options. Which is very annoying. Because this option reveals many unnecessary files with your required files. Today I'm gonna share a cmd command by which you can easily unhide all files and folders from a particular drive. Type cmd and press Enter and you will see command prompt window. This will unhide all files and folders of the drive K. Remember K is name of the drive in which you wanna run the operations. If you wanna unhide the folders of any other drive ie. D, then type D instead of K.
Go to My Computer > View > Folder Options > Check Show Hidden Files and Folders > Uncheck Protected Operating System Files. Convert a Webpage into PDF Online- No Registration! Sometimes you may need to copy something from a webpage. If you need to copy only the text then you can copy the text and paste it to any program. But sometimes you may need to copy the whole site including the pictures and original formatting. In that case, what should you do? Today, I'm gonna share a site with you. Using this site you can easily convert any webpage into PDF and download it in your PC. You don't need any other software to do it. Even you don't need to register! It's free! NB: Of course you need to register if you wanna enable some extra option. The site I'm talking about is PDF My URL. Now go to the http://pdfmyurl.com/. And finally hit on the button looks like P with down arrow. Immediately a PDF file will be start downloading in your PC. 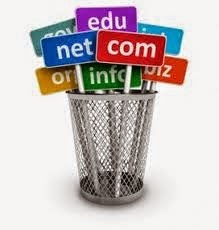 Net users sometimes need to know the domain name extensions. So ,in this post I am sharing the domain name extension for almost all countries. If you need to know a specific domain abbreviation or the domain name of a country you can simply search by Ctrl +F then type the extension or country name.